Subject: Duster Expedition Heroes Remembrance Thread. Es sobre un ser de la nada/ It's about a being from Nothing. Perdon, quise decir a la Tierra/ Pardon, I meant to say to Mars. Era la paz del futuro/ Was the peace of the future. Y lo hermoso nos cuesta la vida/ And what's beautiful costs us our lives. Con su cañón de futuro/ With his cannon of future. Hasta la victoria siempre, Subcommander. in memoriam sera, la explosión./ In memoriam, will be the explosion. ¡Fusil contra fusil!/ Rifle against rifle. despierta la verdad./ the Truth awakens. su agujero de honor, su canción./ His honored place, his song. Jean Saint-Laurent doubled over, coughing up a worrying amount of blood as the masked soldier landed another punch in his side. Slowly lifting his head, he was visibly surprised as the soldier (Martianborn, judging by the way that last hit had cracked another rib) stepped back, rather than yank him back up by the hair for another round. He tried to shift his arms, bound behind him at the wrist, but only felt a shooting pain from one elbow for his trouble. After another futile attempt to spot anything behind his chair, he turned his attention back to the running camera in front of him, and the two soldiers flanking it. "Please, just tell me what you want. Why are you doing this? I'm just a businessman. An investor!" He gritted his teeth and gasped out, "There isn't anything I can tell you!" The first voice he had heard since being knocked out and brought to this place, bearing the distinctive tinny ring of an electrolarnyx, came from behind him. "Oh, Mr. Saint-Laurent. You misunderstand us." A gloved hand-small, slender, too hard to not be a cybernetic replacement- slid around Jean's neck, and he briefly struggled, until the other hand clamped down on his shoulder hard enough to bruise. The left hand continued up, stroking his swollen jaw. "You see, Mr. Saint-Laurent... Jean. May I call you Jean?" The hand was held around his mouth now, keeping him from responding as the woman's voice continued. "You're not going to have to tell me anything. You're here to help tell our audience out there something." Her grip tightened, threatening to dislocate his jaw and provoking a muffled scream. "Oh, there's no use in calling for help, Jean. Do you really think Europol is scouring Mars right now for your sake? No, no... They're doing it because Yukari Weyland is about to blow out a Europol officer's brains: live and uncut." Her grip relaxed as one of the soldiers wheeled in a uniformed man looking even worse than Jean. "You see, Jean, like yourself and most of Mars, Our Europol friend believed your government when it promised your soldiers had gunned me down with all of my men...oh, you should have seen the look on his face. The look on your face right now, Jean." The Burned Woman moved over to the Europol man in the wheelchair and Jean caught a glimpse of her face, or rather the mask of bandages completely covering it. "You know very well your country's opinion of showing quarter..." In one fluid motion, she pulled a pistol from her coat, pressed it to the officer's head and fired, "I am merely providing my answer. The EU does not own Mars, and until it gives up, it will continue to bleed." She turned back to Jean as the other man slumped and fell out of the wheelchair, retaking her place behind him, leaning down so that her head rested next to his as she looked into the camera and out at the Martian public. "But no nation endures without the support of its people, and as long as the thieves and whores of the Four Powers draw breath, know that I kill your countrymen-your family-because you are too weak or too greedy to stop those responsible for creating me." "Now, Jean. It's time for your part to begin. We're going to show all those people out there just what my men and I are ready to do." Jean stared forward with vacant eyes, having stopped struggling against the torture an hour ago. A small piece of paper was placed in his hands as the camera panned up to also show the featureless cloth bandages of the Burned Woman, staring out at the video's audience as Jean began to recite a poem-surprisingly clearly given the state of his jaw. The last noise out of Jean Saint-Laurent was a sigh of relief, followed by a snap as his head was wrenched to the side. The Burned Woman nudged his body forward and out of the chair, never looking away from the camera. "This is only a taste. You have been warned, Mars... Ah, yes, and for the Europol force who should now have arrived without realizing my promise of a live performance was a lie? Happy New Years: I hope you enjoy the fireworks." The Inter-Solar Corporation. One of Earth's largest Mega-Corporations. Founded in 1782 as a humble English trade guild, Deveraux & Son within the Borough of Liverpool. They were a transport company, shipping Ceramics, Textiles, Construction Goods, Timber, Utensils and even Food from Liverpool's Docks to various other trade ports across England, eventually moving across Scotland, Ireland, France and most of Europe by 1845, eventually the guild had built it's own, respectable and sizeable Trade Fleet. (One of the largest in Europe) and over the next several years by 1852 it had become the main guild in the British Empire, providing much of the UK's much needed exotic and luxury goods from the far corners of said empire with Operations in China, India and Canada. This vast income of Wealth promoted the group to start expanding itself greatly and spent multiple years until 1870 expanding it's operations, 10 years later in 1880, when it's home of Liverpool was officially given the status of City the group had hundreds of factories churning out goods produced from it's own imports, an act that saw great backlash from other guilds whom had hired the group to import them for themselves, an act that eventually was taken to the courts in what would be the biggest court proceeding in the history of British guilds. Known as the Deveraux Incident, over 40 Guilds took to the courts in an attempt to stop Deveraux & Son from using goods they don't own to produce higher value goods, meaning the company was making more profit than loss. The courts were unable to fathom why these groups simply did not just cancel their contracts and stop loading Deveraux ships with goods, all of the guilds gave the same answer, Deveraux & Son's ships were armed and were taking the money and goods by force, and had amassed their own private force which occupied many of the other guilds operations, extorting money from the guilds in the process. The Courts were not happy and all indications pointed that Deveraux & Son would be fined heavily and it's assets seized for it's practices. However when no evidence could be found of these forces, or armed ships. The ultimate blow to the proceedings came when for reasons unknown, each and every court ruled in Deveraux's favour. While the other guilds cried corruption, documentation states the courts came to the same conclusion that these guilds were working together to take down a competitor to cover up their failing business's due to a lack of adaptation to a modern world. And thus Deveraux and Son continued to use it's imports to churn out jewellery, clothes, tools, weapons etc. And eventually by 1900, they had already bought out many of these would be contenders. And used much of it's new found power to massively expand it's production capacity across Great Britain. In 1904 the company was re-branded Deveraux Good's, going by the slogan "Everything is good, if it's a Deveraux". Producing great sums of Luxury Goods such as Fine clothes made of the best silks from China, beautiful jewellery made of Welsh Gold and the best gems India has to offer, and of course the beautiful and popular Jade of China. Devereux saw a growing market and it was a market for Women, Much to their success. Women across Canada, the USA and the British Empire wanted the dresses and jewels made by Deveraux Goods, and their husbands were more than happy to provide them with their affordable price tags and appealing offers. This gave the company ample financial resources to yet again expand itself and founded factories across Canada, America and Europe. And for World War 1 and 2, they were the main producer of much of the UK's weapons when it retrofitted a number of it's pre-existing factories in the UK to produce ammunition, vehicle parts, protective gear, uniforms, torches, batteries and other vital goods needed by the Empire's Navy and Regular Army, as well as the Territorial Army. Something they continued to do after the war ended, earning the company a very safe source of income via government contracts, allowing them to build more factories to further produce consumer, tradesman and military products. This stable income from government contracts was ample food for a new demand for goods following the great wars. Deveraux Goods was able to provide affordable goods for a poverty stricken post-war Europe. While not as glamorous as it's pre-war goods, they were enough to help many families recover, and the group eventually chose to start producing medical goods and pharmaceuticals. In a Post-War world, the most popular product from the group was it's Nutrient rich Baby Milk and Formula, cheap and easy to mass produce and filled with all the nutrients and minerals needed by babies and toddlers. Reducing the financial strain on families, allowing them to ensure they themselves are fed well. Come the age of the Computer in the 1980's and 1990's and the company was slow to change and struggled against larger American rivals such as Microsoft and Apple, but also a local business, Amstrad. To pick up the pace, the group started developing consumer electronics, starting with the EZ-Player in 1986. This Cassette Tape player and came in 9 Colours, making it highly popular amongst teenagers and children, and even more popular with music lovers and students because of it's unique ability to hold two different tapes and read either Side A or B without the need to flip the tape around. This unprecedented popularity allowed the company to regain it's position as the UK's Number 1 company, a title that did falter over the years. The slump lasted until 2005, when the company released it's first Cellular Phone, the Deveraux TC-0001/A, commonly sold by it's range name of "Deveraux Astra". This proved to be the companies much needed pick me up after it was met with critical acclaim, positive reviews and large fan base that continued many years after it was no longer being sold. People primarily enjoyed it's range of colours and customization options at point of order online, but also the options available in the phones settings menu that allowed users to change the colour of the LCD Screen and the phones avatar appearance (By default a regular smiling face, but this could be changed to cat, dog, girl, boy, robot with special edition Panda and Tiger). By 2015 the company was producing so many goods they could be condensed into 3 categories. Consumer, Military, Scientific. A Trinity. Thus being adapted into the companies logo that is still used even today. The following graphic displays what the company was producing at the time and still does today. Tablet Computers, Smart Phones, Wearable Devices (SmartWatches, SmartGlasses etc), All-in-One Personal Computers, Laptops, Computer Hardware (CPU's, Soundcards, Motherboards), Consumer Robotics, Electronic Toys, Data Storage Devices, Washing Machines, Dryers, Refrigerators/Freezers, Televisions (3D, Smart, 4K, OLED), Monitors (Touch, OLED, 4K, 3D), Vehicle Parts. Pharmaceutical Goods (Anti-Biotics, Anti-Fungals, Pain Killers, Anti-Inflammatories, Anti-Allergens, Anti-Depressants and Multivitamins), Cosmetics, Jewellery. Advertising, Computer Software. Ares - The Best Defence is a Good Offence. Military Robotics (Bomb Disposal), Ammunition, Vehicle Parts, APT's, Automatic Rifles, Pistols, Body Armour, Atmospheric Engines, LIDAR and RADAR Systems. Meals Ready-to-Eat, Distress Beacons, Emergency Escape Vehicles, Space Vehicle Parts, Radiation Shielding, Megnetic Coils, ECM Systems. Deveraux Good's did not become The Inter-Solar Corporation until it had acquired a lucrative contract from the British government to mine valuable Helium-3 from the Moon and set up some of the earliest Luna colonies. By the end of the 21st century, the Inter-Solar Corporation, or SolCorp as we often call it, was now one of the largest Mega-Corporations on Earth, One so strong that it is estimated that 1 in every 7 households across Europe have at the very least 4 or more of their products. While not the largest of them all, it's size, influence and power has allowed it to set up Tourism, Science and Mining operations in Orbit of Earth, On Luna and now on Mars. With plans to expand to Venus, Jupiter and Beyond. The Inter-Solar Corporation, via it's Luna subsidiary, Luna Corp, announced a major undertaking to begin upgrading and revitalizing it's aging Luna colonies and begin providing stability and security in their job markets and communities. Many of the colonies fell into disrepair following a slow down in Luna colonization and many local Helium-3, Silicon, Magnesium and Titanium deposits being depleted from decades of mining. The fortunate ones were able to refit themselves into tourism spots and trade centres, however some who could not support the refits were left unable to cope, and thus got by the best way they could, but selling their surpluss of hydroponics and producing bricks from luna soil, a commodity still in demand by civilian settlements set up privately not by companies. LunaCorp, formally known as Luna Engineering and Technologies Corporation, decided enough was enough after receiving a petition from their settlements to start providing more care for them. The Company has made a list of the work to be done which they have put out on a 10 Point process, which we have taken the liberty to list below for yourselves watching this broadcast, please use the embedded link to view the list or alternatively enable your Picture-in-Picture function. Voice Synthesis is available. The graphic will also have a list of colonies being refitted and the timeline for the refits, as well as info on which colonies won't be upgraded and why. 3) Upgrade Hydropnics and Water Reclamation systems. Hydroponics will be replaced with an arboretum dome to also provide oxygen and larger farmland. 4) Replace Solar Pannels with new, higher efficency ones and H-Fuel Cells. 6) Provide facilities with 3D Printers to reduce maintanance costs and reduce wait times for repair components from outside sources. Earlier this month, large numbers of VTOL's and Androids were seen being loaded onto SolCorp owned space freighters. The military VTOL's commonly seen patrolling airzones owned by the company over their facilities. The Valkyrie VTOL was first designed in 2050 and sold by the company as part of it's military portfolio to the British Airforce and Canadian Airforce. The Valkyrie was known for it's two forward facing magnetic rail guns that fired in alternating patterns. Their dual barrals per gun would fire quickly and with just enough force to make it's target think twice. The Valkyrie was over the years upgraded, refitted and augmented to become the Valkyrie Stormbird, Valkyrie Chariot and Valkyrie Apex. Each modified for certain uses. The Stormbird was best noted for it's speed above all else, featuring 4 engines rather than 2. The Stormbird's forward guns were replaced with guided micro-missiles and much of it's internal cargo converted to carrying ammunition, making the stormbird more attuned to dealing with heavy armor targets. The Chariot was known for it's luxurious interior, carrying a maximum of 12 passengers. It was well defended, making it a popular choice for VIP's such as CEO's, Celebrities and Politicians alike. Finally in the late 21st century the Valkyrie Apex was created, this short lived Prototype which is currently on display at the Smithsonian Museum was built with 4 engines, 2 atmospheric Jet engines and 2 Ion Thrusters for Orbital flight. It's forward cannons were replaced with Laser cannons, some of the first energy weapons ever employed. While it was popular, it was not simple to manufacture. As a result the company ceased production and the last known prototype was donated to the Smithsonian. Today, the Valkyries are more or less known for their durability as opposed to much else really. They are able to fly in storm conditions, can withstand EMP blasts and can take a beating before falling due to their liquid-polymer layer that sits beneath the hull, hardening when striked with sufficent kinetic energy and returning to a liquid state when hit with a negative electrical charge. When solidified it acts as extra armor but also patches up hull breaches. The Androids however are standard K9 Robotic Guard dogs which feature a basic gun mounted on the nose. These robotic dogs are mostly seen acompanying guards across various buisnesses and are seen as a far more humane security measure than using real dogs. But also because they are cheaper in the long run, not needing food or water, or toys. But also because they are able to withstand more damage than an actual dog. It is unknown why SolCorp is moving them, however it is believed to be part of SolCorp's effort to provide a defence against the fabled Dusters on Mars which have apparently been found to be "real" by locals on the Red Planet. It’s late, almost midnight, by the time we arrive at the agreed meeting point. That’s not too far off schedule, at least, between the time it takes to get through ESA security and the commute: it was for exactly that reason that the subjects of my story agreed to talk the morning after my arrival. They remained up to see that we made it here in one piece, though, and upon arriving at the small motel where we’ll be staying I find the three of them at a table out front, passing a cigarette between them. Introductions are made and the closest, Sykes, offers a hit. Up close I recognize it as a joint made from ‘Red Creeper’: a hardy Mars-developed cannabis strain as notorious for its frequently low potency as it is prized on Earth for its discreet scent. I politely decline since I find it tends to make getting through customs an absolute hell. They just chuckle among themselves, before Honus nods: “Trust us, we know. I’m pretty sure all three of us will be happy if we never go through customs again.” We chat a bit, mostly small talk and details of tomorrow’s interview until they finish their smoking and my assistant arrives with our key. It’s without too much coaxing that I even convince them to stop for a photograph as they head up to their room. We meet early the next morning over coffee in their room, now a makeshift headquarters of sorts. The Air Corps is really still getting situated, as Gardener explains, though he predicts that things will be more settled by the time this article is published. Things move quickly for the Rangers, after all, and the recent collective decision to put these three at the helm of their nascent force of shuttles and gunships has streamlined the process considerably. Once they’ve all managed to detach themselves from pressing matters, we’re able to begin speaking in earnest. I came here for the purpose of reporting on the formation of a dedicated air wing of the Ranger’s organization, but if there’s one thing I’ve come to realize, it’s that the “Captain’s Troika” are emblematic of the men and women they lead. Contrary to popular perception, many Rangers have families: loved ones that they are willing to forsake time with-years, sometimes the rest of their life-in pursuit of those ideals that draw them here. Honus has brothers with children of their own, and an aging father, back home. Sykes left behind a long suffering fiancée (“Not a day goes by that she doesn’t threaten to come down here and drag me to the altar herself if I don’t hurry up,” he quips). Even Gardener, with no living family, confessed he’s had little contact with most of his closest friends since signing on to the Ranger cause. Understandably, he was not inclined to discuss the subject much further, nor I to press the matter. As it was, we had little time left after my preliminary interviews in which to discuss the Ranger’s Air Corp itself, though Honus was kind enough to offer a follow-up interview once his schedule cleared up. This interview will be published in a second installment of this story. For now, I leave you with a greater knowledge of three exceptional men. It has been said, by some in admiration and others in contempt, that the Rangers’ values are a product of the charismatic figures leading them. While there is no doubt in my mind that these leaders shape the path of Rangers, it is by no sophistry or guile on their parts that they command such respect. No, it is not that the Rangers have their values because of their leaders. Rather, there are enduring principles, dreams of free and proud people, and Rangers select their leaders as a testament to the endurance of those dreams. OOC: Might as well get in on the IC summary action. A specter is haunting the Old World: the specter of obsolescence. Soon, the plutocrat, the general, and the CEO will go the way of the horse and buggy. The complete and total revolution of the societal and individual spheres has begun, and neither your money, nor your democracies and tyrannies, nor your paramilitaries and corporations will stop the tide of history. Your objections are the death rattle of the dinosaurs and the melting of the Ice Age glaciers. It's been fifty years since you asked who al-Malika was, and only a few years shorter of when the woman who carried that name died holding the line at Nazran. And where are we now? Look around. Much like ourselves, the signs of the Movement's progress are everywhere. Inspired by the tenets of Revolutionary Humanism, Guan Yu and Shakti cleansed Unity of the degenerate taint of fascism and the wrongs done by the United Nations. Our fedayeen banded together to transform the UCR into the only free government on Mars, and you learned to respect us. In the aftermath of your failed “30 Days Campaign”, the landlords and businessmen of Anga breathed their last. Their reign of exploitation over the people you derided as “Illegal” was cut short, and you learned to fear the people you once ruled over. Seychelles Porter and her band of pigs chased us out of Liberty One after they failed to crush the people united against the North American Empire. Only then did you find that we were in your cities on Luna and Venus, and you learned that we will overcome anything you throw at us. The Chavista munafiq of New Cumaná forgot what they fought for and pledged their allegiance to an Old World government. Because socialism without freedom is a barracks, we carried on the fight regardless, and you learned that we will not compromise, because there can be no compromise with the obsolete ideology you cling to. Our blue-helmeted friends received a mandate from the Powers that Be, and rather than remember where they came from, they chose to favor their own lofty rhetoric over the realities of revolutionary necessity. Our calls for reason were rejected and ignored, but we remain ideologically pure, and you learned that the Movement will not be silenced. Just as we bled and died against the Duster hordes, led by that Apostle of Liberty, Tybalt of the Outliers, we continue to be the first and final line of defense of civilization against the White Armies of Gorchakov and Whitecliff, the Thai fascists and Sindikat thug-politicos. Year by year, we gain more ground, and with each ghazwa, you learn to hope as much as you fear. All this and more has been accomplished since the Red Queen announced our position at the forefront of human liberation. We are the last in the line of human progress, from the first towns and cities to the fall of Athens' tyrants, from the Ides of March to the Enlightenment to the Paris Commune, from the colonization of space to the formation of the Nightingale Society. We are the culmination of social, political, economic, and personal progress; we are history in the making. 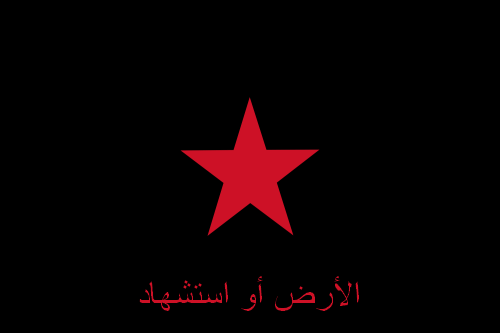 We are the Revolutionary Front for Salvation and Liberty, and we will clarify our position once more. We are Revolutionary Humanists first and foremost. 'Revolutionary', to our fedayeen and our operatives, means total and final change. We will accept no reform that doesn't come from the mass of humanity as a whole, and no concession will end or even stall the final evolution of society. 'Humanism' is the ends of the means of revolution. We believe, first and foremost, of the value and agency of the human race, and that the illusory power of the state, corporation, and ideology limit the ability for us as a whole to reach our full potential. Under Revolutionary Humanism, all are born as equal kings and queens of their own reality, limited only by the chains of the powerful. And we, the kings and queens of our own liberation, have seen your decadent ideologies and oppressive societies. We hear your cries, and have found some of you lacking. There will be no rest for the wicked who prosper under the Great Satan of oligarchy. We will resist, to the last breath, the influence of your illusions and snares. We will shatter the false egos of your arrogant leadership and break the chains of those who will prosper under our new world. To the rest of you, we are coming. The Revolutionary Front sees your plight and feels it as our own, and we will help. But before we provide assistance, before you join the Greater Movement in taking up arms against the stagnancy of statism and capitalism, you must ask yourself one question. Signed in the city of Nazran, of the Martian Free Territory.